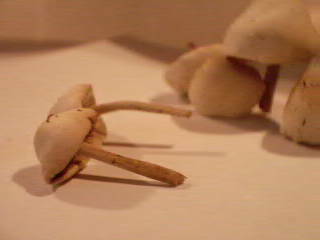 Hello all, Im very new to shrooms and I'd like to know what tyep of mushroom this is, and if its magic or toxic... no pressure, im not going to eat them either way, not unless im 100% sure, it would be so stupid to die trying to trip. 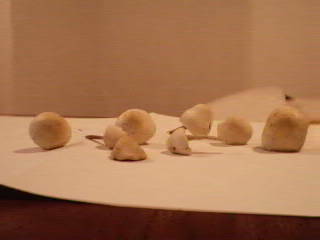 Anyways heres the pictures, sorry for bad quality, its a webcam. Nope. 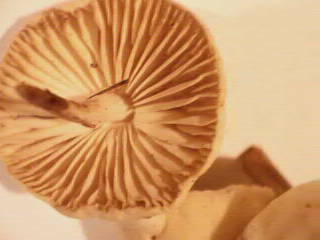 See those gills? You're looking at orange-brown spores. Definite no-no, unless your looking at Gymnopolii. Good to see your pickin', though. Killer. I found similar ones (white) but the spores where jet black (didn't bruise blue), anyone ? If they had a jet-black spore print, then they were probably a species of Panaeolii. 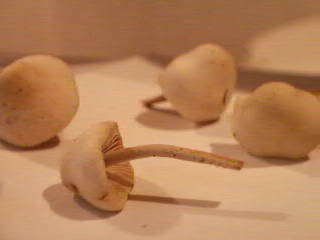 If they had the same cap and/or stem color, then they had probably dried in the sun to a hygrophanous straw-yellow color. Whereabouts did you find them? State? etc. My bad, I didn't fully consider the facts. OK, if the caps were white and had a similar shape, etc. 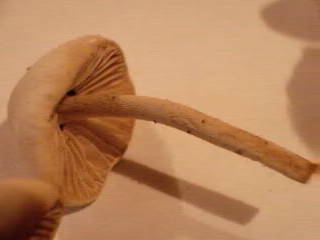 and also had jet-black gills, then possibly Coprinus species. Panaolii still is in the picture. We just gotta narrow it down from there. Ataraxia, I'm thinking that those mushrooms are Conocybe tenera. You found those in the yard, right? Well, I'm thinking so. 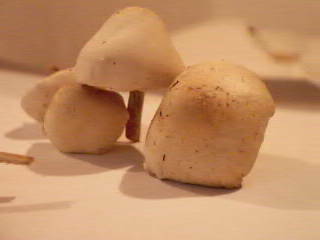 They grew directly from horse dung. 1,334 topic views. 12 members, 32 guests and 6 web crawlers are browsing this forum.